Since my readers run small businesses, how Netflix handles their customers might seem a bit removed from your desk. However, most of you run businesses with recurring revenue and how you handle rate increases is crucial! Why did Netflix increase rates 60%? One hurdle in doing that is splitting up their billing since, at the time, there was a single rate for Unlimited Streaming and DVD’s. 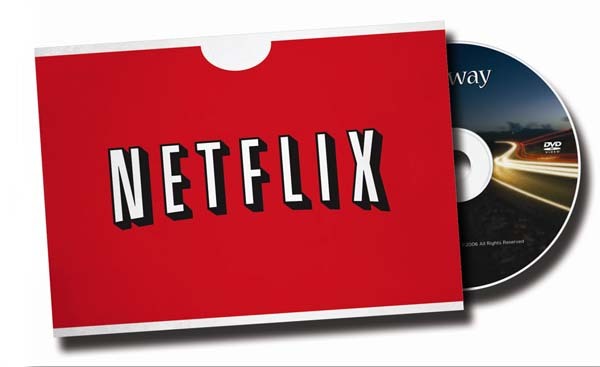 On July 12th, Netflix sent me an email announcing that their most common plan of $9.99/month for Unlimited Streaming video and Unlimited 1-at a time DVD’s was being separated into $7.99 for Unlimited Streaming and $7.99 for Unlimited 1-at a time DVD’s. That’s a 60% price increase. Huh? You increase my rates by 60% and don’t even bother to explain why or give me a single reason to remain a customer??? Well I canceled my DVD shipping plan and apparently I wasn’t the only one miffed as that act resulted in a loss of 600,000 of the 23.6 million accounts they had according to their 10K filing for the second quarter of 2011. My first question is, well, was the price increase worth it for Netflix??? Based on information from their 2nd quarter 10k, the average customer spent $10.15/month, which means they lost $6.1 million dollars in monthly revenue from the 600,000 who canceled service. In the second quarter revenue was $718 million so a loss of $18.3 million per quarter in revenue only represents a 2.5% drop. Yet they increased rates by up to 60%. That’s a pretty big gap between a 2.5% loss in revenue due to cancellations and up to a 60% increase in revenue by rate increases. Uh, yeah, the price increase was definitely worth it. Hmmm…. So why has their been a massive sell-off in Netflix shares in the last 2 weeks when they should be in a much more profitable position now than before the rate increase? Who cares? We work in the real world of small business not Wall Street. What did Netflix teach us about price increases? Do them! – That’s the most important lesson for small business. Many small business owners are afraid to increase prices, but what could be more discretionary than a movie subscription? And Netflix is, now more than ever, feeling competitive pressure from Redbox, BlockBuster, and Hulu.com. Yet Netflix is going to come out on top after their poorly handled rate increase. If you provide a valuable service, you will too. Handle them differently – Below I’ll outline a few mistakes and how your small business can avoid them. Target a smaller percentage over time. As a general rule of thumb, most people won’t even notice a 10% rate increase. If your cable, cell phone, or internet service went up a few bucks per month and you were happy with the service, would you waste time finding a new provider over $3/month? 60% is extremely aggressive. I would have probably never had the guts to do that. If I did, it would have probably been over a few months or even quarters. Build value. When Netflix announced the rate increase they should have included a chart in the announcement email outlining how Netflix is still a better value and more convenient than any other option. Make it harder to cancel. To cancel service with Sirius or XM satellite radio you have to call. You can’t do it online. The result of that is that both times I’ve called them to cancel service they’ve been able to retain me as a customer. In Netflix’ situation, they don’t have enough customer service people available to handle those requests so I would still make the cancellation possible online. However, when someone went to cancel I would display my value building chart once again AND provide an explanation of the necessity for the rate increase because of increased licensing costs. If people have to call your business to cancel service, you better have trained representatives able to get to the bottom of the cancellation reason and then some offers available to try to retain the account. Apologize if you screw up. Which Netflix’s co-founder, Reed Hastings, actually did in an email I received on 9/19/11. It was the right thing to do. However, he should have offered some incentive to retain accounts that quit with a coupon at the end of the email to show his sincerity. It’s easy to say your sorry but it looks even better when you’re willing to endure some expense to make it better. Contact the people who have canceled. In Netflix’s situation, I would definitely do that via email apologizing for the poor communication, reiterating the great value Netflix presents, and then offering 2-months free service to make up for the mistake. Since I didn’t cancel the Unlimited Streaming service, I’m not sure if they did something like that, but I haven’t been able to find any information indicating that they did. The bottom line is that you need to have regular rate increases in your business… Just make sure you do it correctly. Coach … you are on the money. Raising rates is one of the most traumatic challenges small biz owners face … right behind terminating dead wood. Good post. Thanks. Thanks TCM. There can be a LOT of trauma sitting in the owner’s chair of a small business. That’s why it’s so important to have a great support system! No one can be an expert at all the aspects of small business so it’s important to have some expert help in your corner.